The Colombian film Killing Jesus is a revenge drama that focuses much more on the internal conflict of its protagonist than on whether or not she gets vengeance. Paula, a young woman whose life is shattered by the murder of her beloved father, is not the heroine of a thriller. She is a confused and emotionally devastated person trying to figure out how she can continue on. Director Laura Mora Ortega takes her time telling this story and does so with an approach bordering on neorealism. A brief synopsis may make this sound like a suspense film, but that would be misleading. In actuality, it is a tense, and affecting, character study. ​Everything about Killing Jesus is grounded in reality, from the style to the story. Absolutely nothing is sensationalized. The father’s murder, Paula’s conversations with the ineffective local police officers working the case and her inadvertent discovery of the killer are all handled in a very understated manner. This is not even remotely a plot driven movie. It is moved forward by the decisions of the lead character, who is put into her position by a faulty legal system that fails to protect the innocent. Killing Jesus never pushes its points too hard. Its style gives viewers the opportunity to receive the message organically. ​All of the different aspects of the production come together to bring us closer to Paula, both literally and figuratively. To start with, there is the intimate camerawork by cinematographer James L. Brown. It has a real “you are there” quality to it. He appears to be using a handheld camera, which allows the viewer to stay with Paula as she moves through her world. Brown uses a lot of close-ups of lead actress Natasha Jaramillo. Her face turns out to be one of the film’s biggest assets. One close-up is more effective than a page full of dialogue would have been. Nothing is inherently cinematic about this method, but it adds realism to the characters, as well as increases the personal feel of the entire picture. ​Then, there is the way sound is used. With a couple of exceptions, all of the sound is diegetic (meaning its source is something within the world of the film). We experience what Paula experiences. Along with the relatively light amount of dialogue, this makes Killing Jesus pretty quiet much of the way. Due to this, the louder noises, particularly the crack of a gunshot, become especially disturbing. This is another tactic intended to draw us further into the emotions and desires of the main character and it is pulled off very successfully. ​Killing Jesus is set in a specific time and place, yet feels universal. Laura Mora Ortega uses a stripped down technique to bring us directly inside the headspace of her protagonist. It never comes off as artificial because the style is perfectly suited to the story. This is not Death Wish. 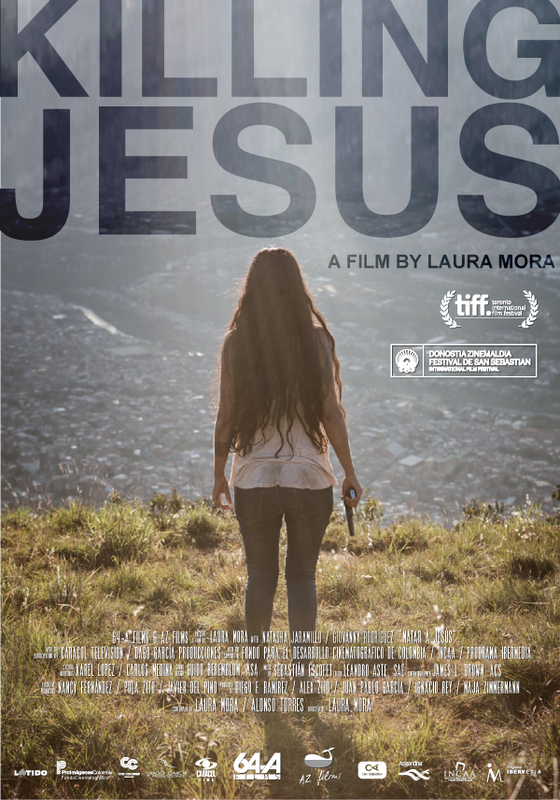 Killing Jesus is a sad, thought-provoking tale that just wants to examine the plight of Paula and everyone like her. It is surprising how fascinating that ends up being.